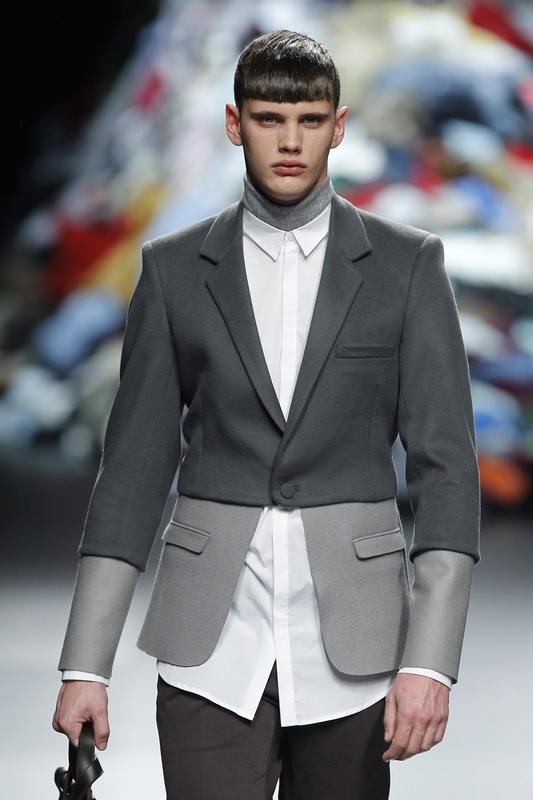 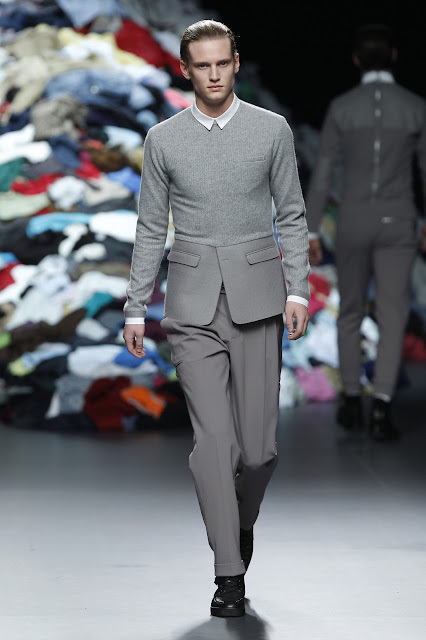 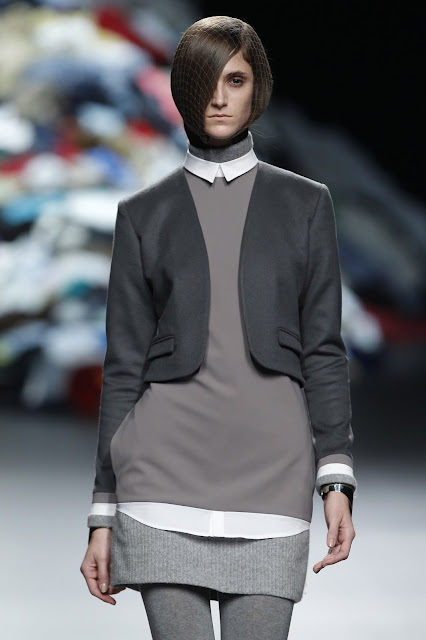 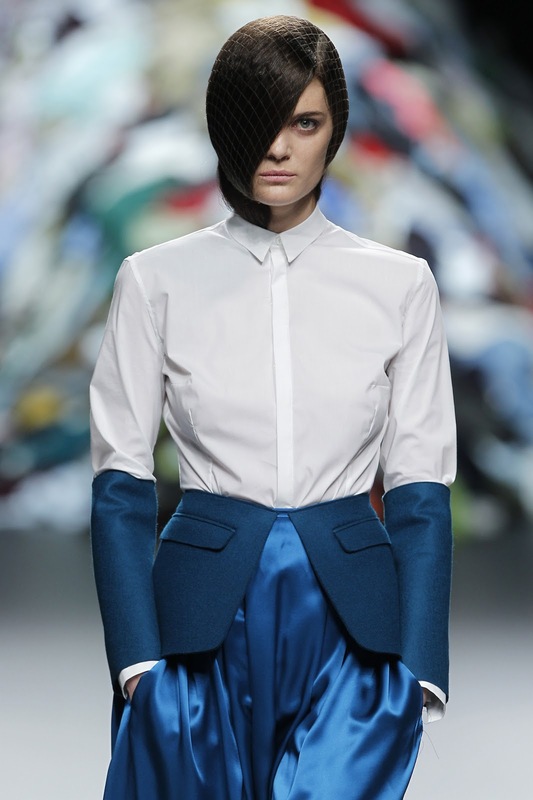 David Delfin known for his surreal and androgynous design presented a fall/winter 2011/2012 collections that revolves around the disorder Diogenes syndrome. 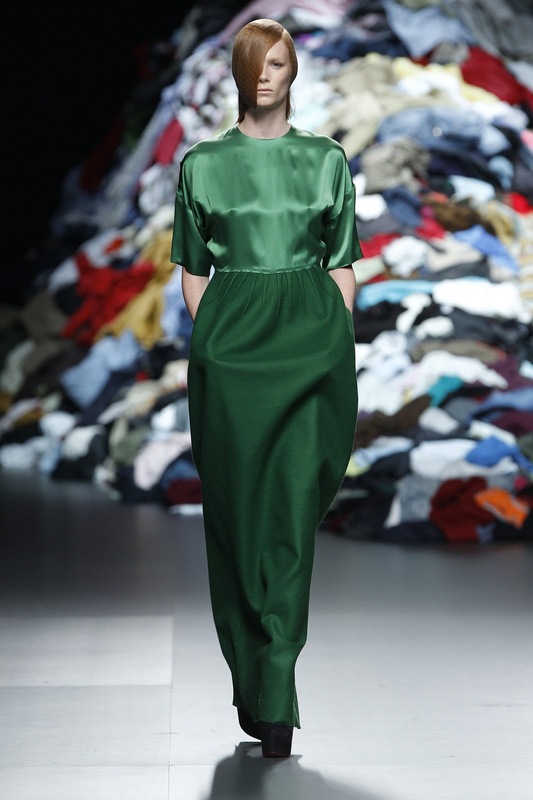 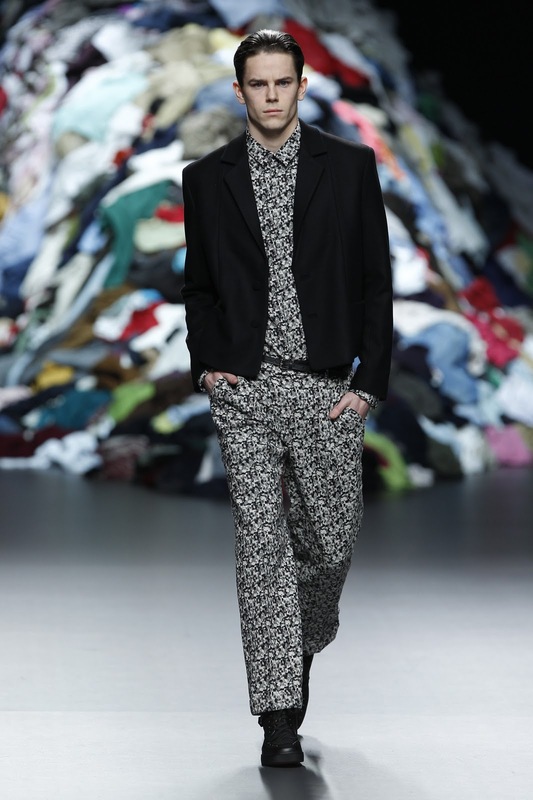 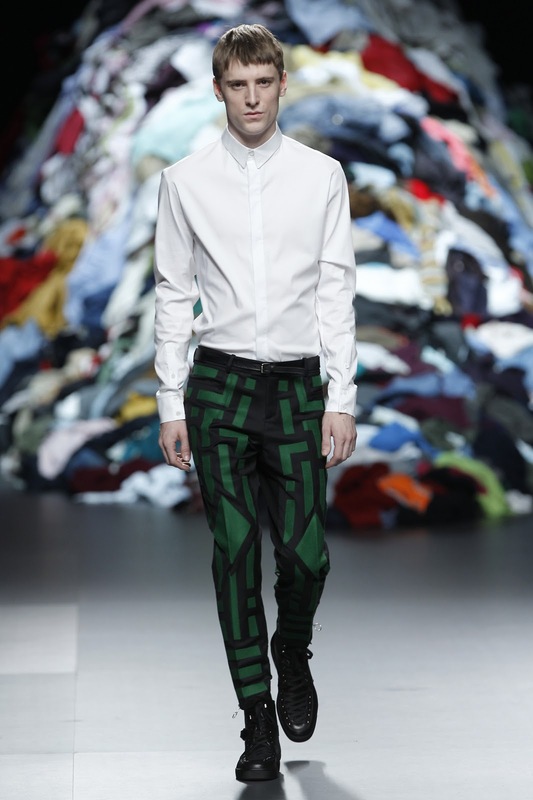 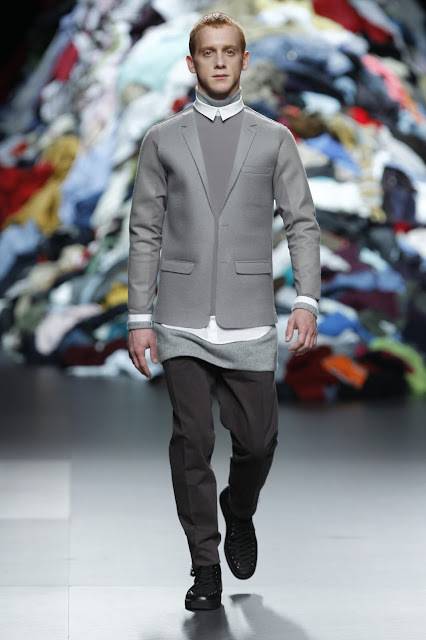 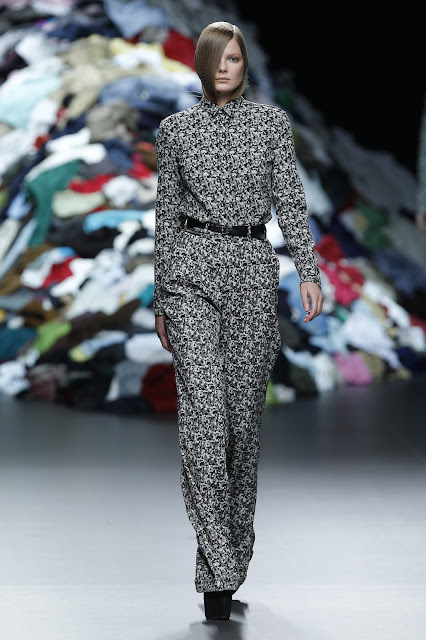 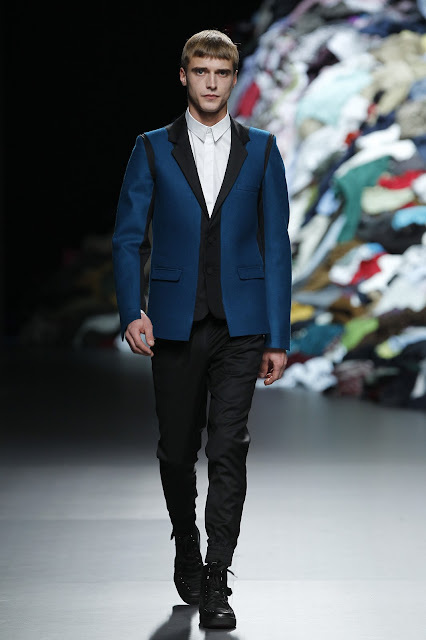 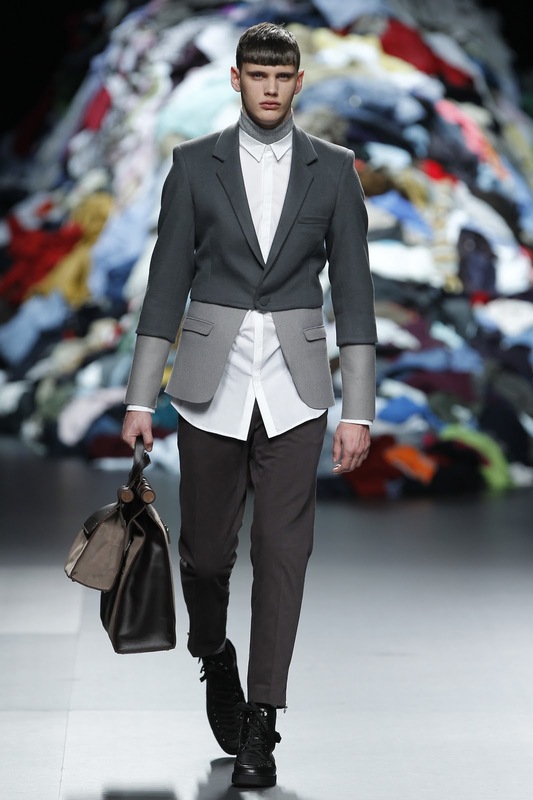 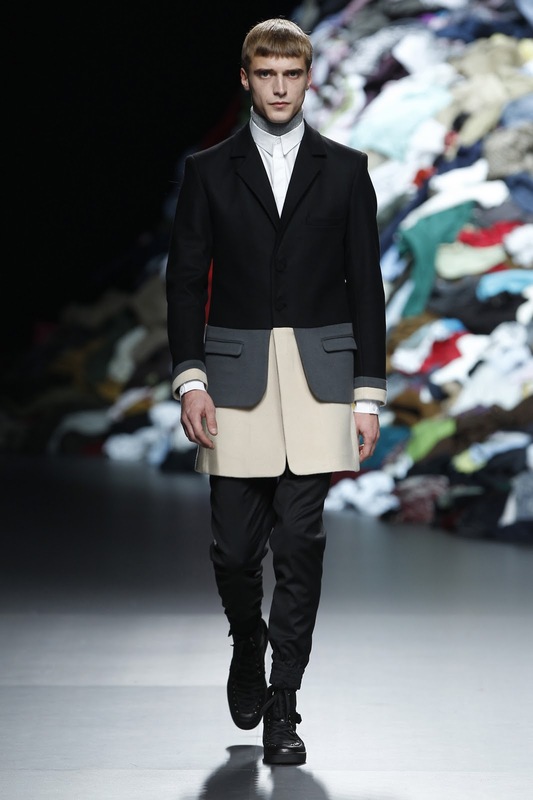 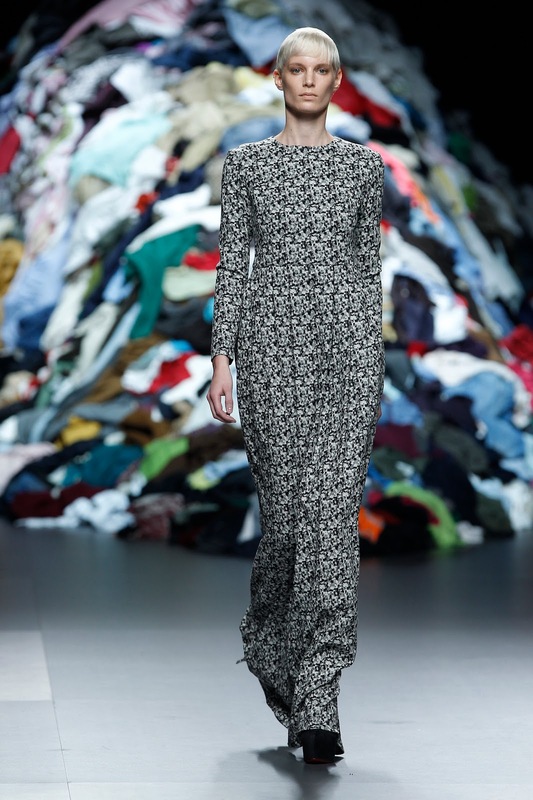 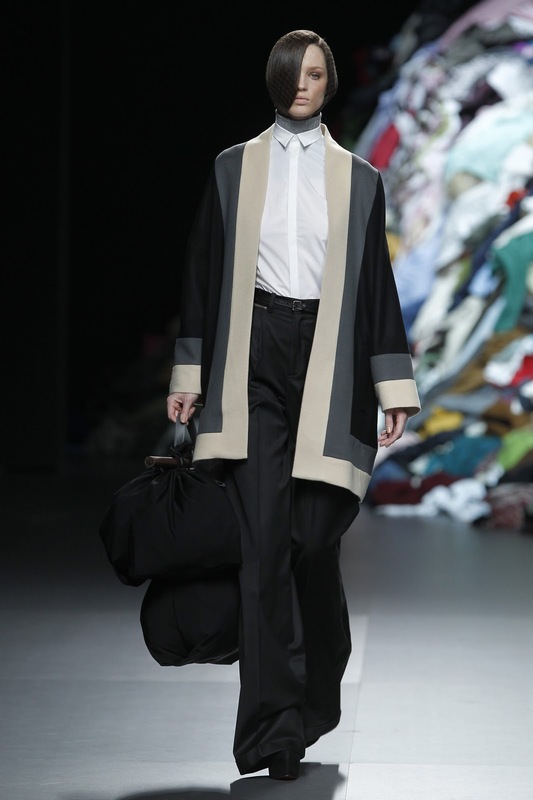 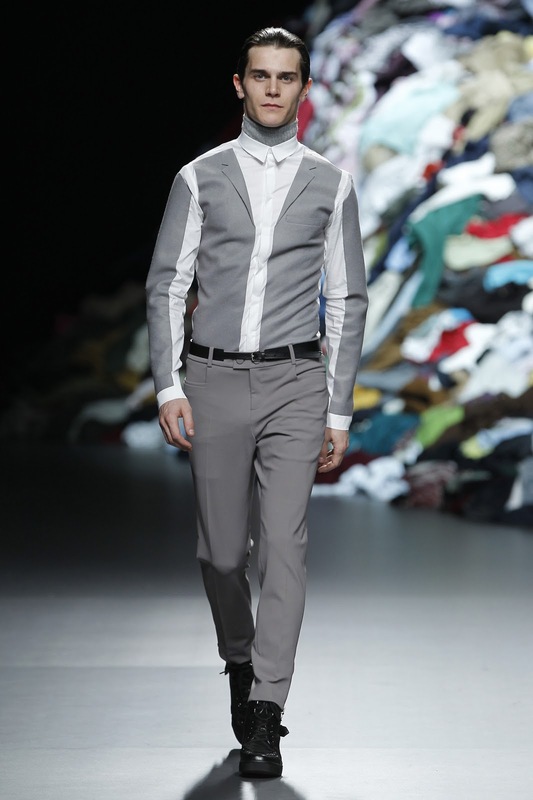 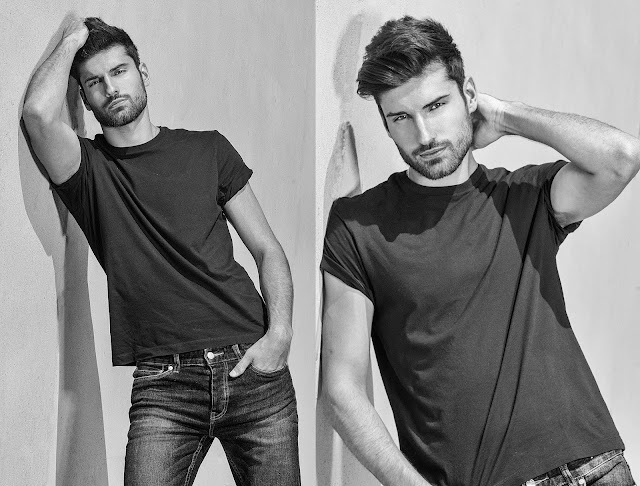 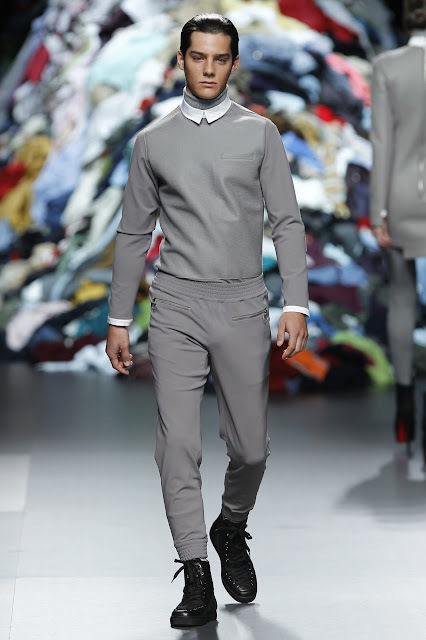 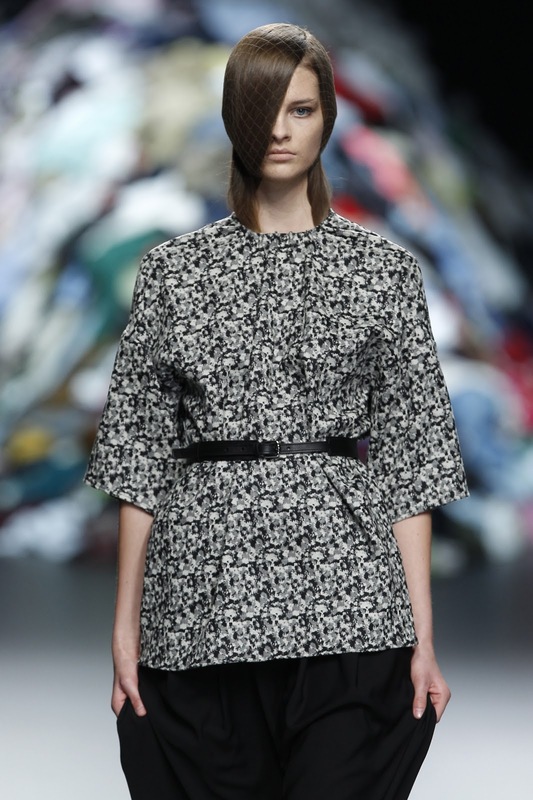 His runway was decorated with a huge mountain of clothes. Maybe Delfin wants to tell us that we as society are becoming apathetic and compulsive hoarder of rubbish. 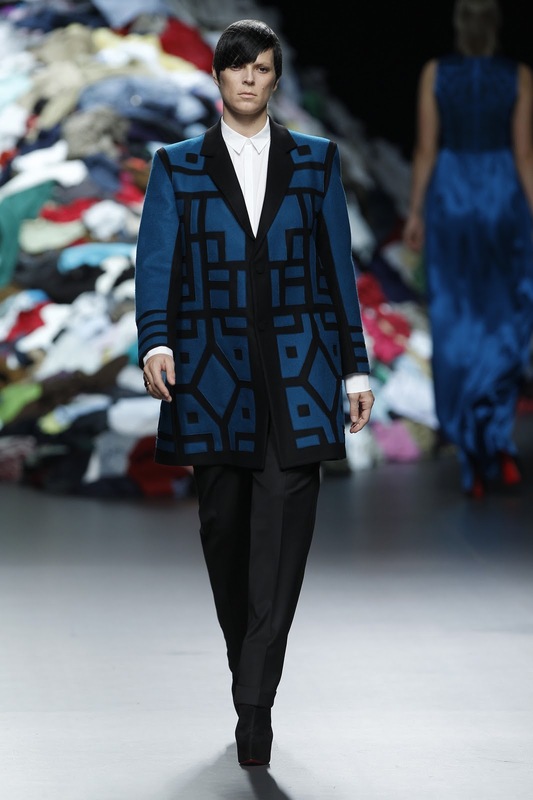 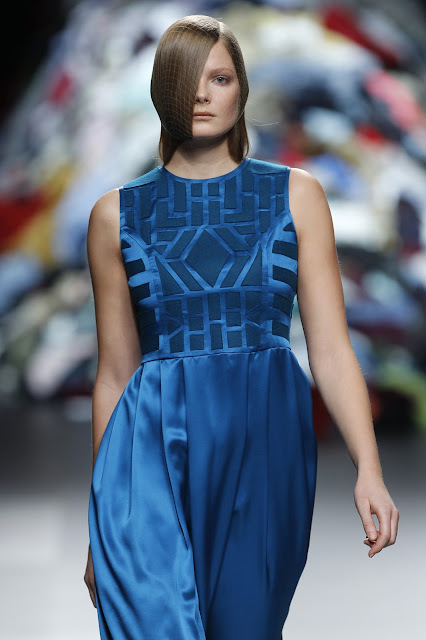 He opened his show with prints but later on focuses on colour blocking using different fabrics and various tones of grays. 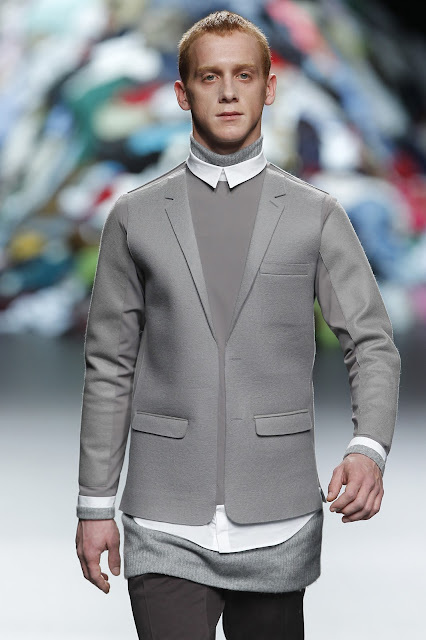 Shirt collars and jacket lapels are mix together to form a fitted shirt/jacket hybrid. 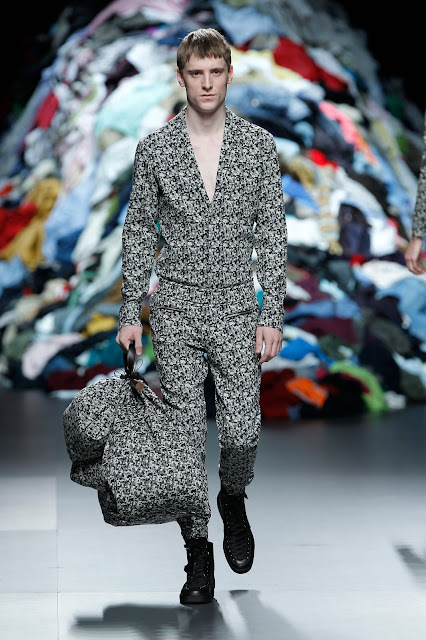 The hybrid clothes make me think maybe Delfin also want to tell us that instead of hoarding clothes after clothes, we could just learn how to re-used and deconstruct them and make a new outfit out them.